Yesterday, it was announced that a 15 November Turkish government airstrike in the mountains of the Sirnak area in southeastern Turkey, near the zone where the borders of Turkey, Syria, and Iraq meet, had killed twelve guerrillas from the Kurdistan Workers’ Party (PKK). Given that the PKK has waged war against Turkey since 1984, and the state has obviously fought back, such events are distressingly mundane. But this event was exceptional because among the slain was a female foreign fighter, Zozan Temir. 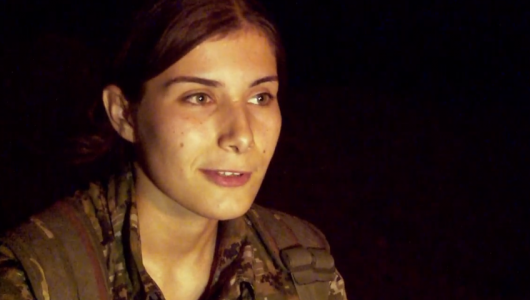 Temir, who used the codename “Zozan Cudi”, was a Syrian Kurd, and had previously appeared in a widely-circulated documentary as a member of the Women’s Protection Units (YPJ), the all-female wing of the People’s Protection Units (YPG), the chosen partner of the U.S.-led international coalition against the Islamic State (IS). The YPG has run an elaboratemessaging campaign to deny that it is a front for PKK operations in Syria—and to harass and denounce anybody who contradicts them. The visible overlap in membership between the YPG and PKK was always among the clearest evidence of their mendacity, and any closer examination demonstrates the complete unity of authority, ideology, membership, and resources between the YPG and PKK. One part of the significance of this has always been that since the PKK is a registered terrorist organisation in most Western states, including the United States and Britain, as well as by the European Union and NATO, the coalition deputizing it as a partner in the anti-IS war is legally dubious. The more important aspect relates to achieving Western objectives, whether defined in the (overly) narrow terms of “defeating” IS or in terms that approach a recognisable strategy for regional order, with bolstering allies and containing the Iranian revolution at its core. The PKK is not an ally in that cause; it is a revisionist actor in itself and its longstanding orientation is in the column with Bashar al-Asad’s Syria, Russia, and Iran. 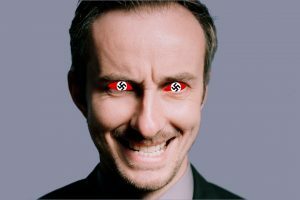 Temir appeared in a documentary, No Free Steps To Heaven, by Itai Anghel, an Israeli journalist and filmmaker. The film, released in mid-2015, came from footage taken when Anghel spent two weeks alongside Eddie Gerald, an Israeli photographer, on the frontlines against the Islamic State, embedded with the YPG/J, in December 2014. Anghel’s documentary featured the female fighters of the YPJ very prominently and sympathetically as “freedom fighters” against IS’s medieval barbarism. Among other things, the documentary disseminated the myth, first appearing in the Western press around August 2014 and becoming a staple ever-after, that IS jihadists fear to be killed by women. Female Kurdish fighters made their presence on the battlefield known during engagements with IS, Anghel said. “Why? Daesh believes that if they’re killed during battle, they’ll get to heaven and get seventy-two virgins”, Anghel said. “But, based on that same perception, if a woman, a ‘lowly creature’, kills them, there is no heaven”. The fault for circulating this falsehood does not go to Anghel. The YPJ operatives deliberately and persistently pushed this story, explaining that it was a component of the “racist patriarchy” of the IS movement. Anghel encounters Temir around a camp fire one night—a camp fire she and the others jump through before settling down to eat and talk. Temir introduces herself as being 20-years-old from Qamishli. Sitting among both male and female colleagues, Temir said—in English—that she was fighting for her people, especially the women. Switching to Kurdish, Temir explained her view of the female place in the revolutionary struggle being waged by the YPG/J in terms drawn from the “Jineology” doctrine of PKK leader Abdullah Ocalan, and then added that in fact the military campaign to impose YPG rule over areas of Syria was a struggle for the liberation of all women in the world. An earlier interview with Temir saw her express a hope that the four Kurdish-majority areas—in Turkey, Syria, Iraq, and Iran—would be “liberated” and join together to form a Kurdistan state, though she said she was only fighting for “my country”, i.e. Syria, or more exactly the “Rojava” statelet the YPG/J has carved out of Syria. As can now be seen, this was not quite true. It is important, for the sake of truth and analysis, that it be understood that when talking about the YPG or YPJ one is not talking about “affiliates” of the PKK, or groups “linked to” the PKK. Rather the YPG and YPJ are wholly and organically integrated component parts of the PKK. An immediate corollary of that is that the so-called Syrian Democratic Forces, the formal coalition partner against IS in Syria, is, whatever its ethnic composition, under the PKK’s polico-military command structure, too. 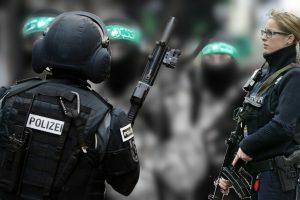 There are troubling moral implications to working with a terrorist organisation that has committed crimes against humanity, mostly against the Kurds who resisted it in Turkey, and continues to fund itself via a vast web of organised crime, much of it in Europe. But even in the most cold-blooded terms the uncritical backing for the PKK is deeply problematic. In the Kurdish-majority areas, the lack of public protest by the West as the PKK has established a formal one party system and dismantled the Kurdish opposition is not just a moral problem: such one-party dictatorships are brittle creatures, setting up yet another eventual political crisis. More pressingly, keeping IS down requires stable local governance, which is to say authorities viewed as legitimate. In the Arab zones of eastern Syria that IS was ruling, the population views the PKK as an authoritarian and abusive alien occupier that is aligned with the pro-Asad coalition. IS has reverted from a state-like entity to insurgency, and is showing results already in Iraq as a result of the post-IS political inadequacy. If the U.S. and her allies were ever to organise to implement—or perhaps more accurately, reimpose—a vision of regional order it would begin in Syria and require a serious commitment to push back and contain the clerical regime in Iran. The PKK is no instrument for this mission. The PKK was for many years a proxy for the Asad regime and its patron, the Soviet Union, in their overlapping disputes with NATO’s Turkey during the Cold War. The PKK also has a long history of relations with the Iranian regime, and it was probably with Tehran that the PKK organised its move from the Qandil Mountains to Syria in late 2011. Even on the best interpretation, the PKK operates under constraints that prevent it governing all the territory it has captured in Syria, which is why for the full length of this war its statelet has been underwritten by the Asad regime and in exchange the PKK gives the regime’s secret police the ability to operate in its zones. As the U.S. draws down, this tendency to reintegrate the PKK-held zones into the Asad state in some form or fashion, probably mediated by Moscow, is only going to intensify. Beyond Syria, the coalition’s partnership with the PKK, over the persistent and public protests of the Turkish government, has damaged relations with Turkey. The YPG/PKK fighters have often stated that once they have established themselves in Syria, they will take their war back into Turkey. Fundamentally, “the PKK views northern Syria … as a recruiting ground and potentially a launching pad for attacks in Turkey”. Turkey has repeatedly claimed that PKK-controlled areas in Syria are being used to assist with terrorism inside Turkey, and while Ankara has not always been convincing on the specifics, there are indications that training and logistical support are being provided in Rojava to those who conduct anti-civilian atrocities in Turkey. This gives Turkey every incentive to undermine the Rojava institutions if and when the U.S. withdraws, further putting the stability needed to defeat IS out of reach, and threatens to make what is already a grievous rupture within NATO into a divorce. At a time when Russia and other aggressive states are on the march, such divisions in the Western security architecture can be ill afforded. 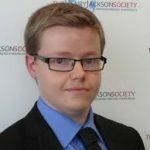 Mr. Kyle W. Orton is a Research Fellow at The Centre for the Response to Radicalisation and Terrorism (@HJS_CRT).